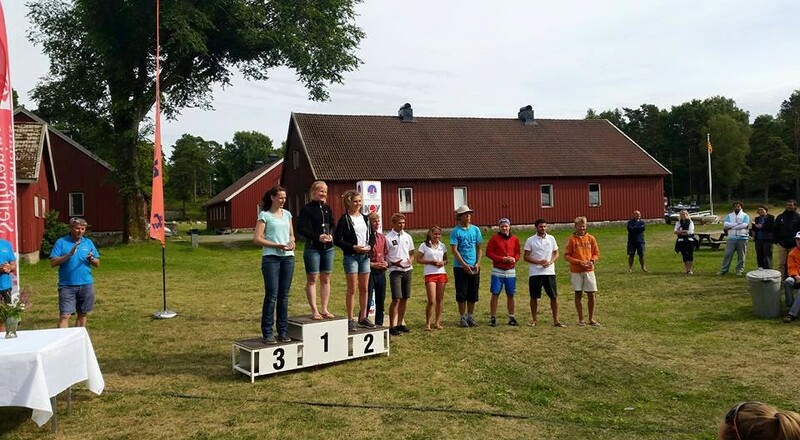 Anna Livbjerg (DEN 1777) could climbe to the top of the podium after four days and eight races in Open Week. Her teammate Anna Munch (DEN 1787) became second, and Germany’s Janika Puls (GER 99) got the third place. The next seven places: Sverre Reinke (GER 14), Emil Munch (DEN 1778), Marisa Roch (GER 94), Lars Johan Brodtkorb (NOR 428), Fabian Kirchhoff (GER 1755), Sergi Perez (ESP 618), and Axel Pantzare (SWE 9). The four days of races were hold on the same course as the World Championship will be hold next week. The sun were shining all the time, and the wind conditions were nice and steady. The organization committee wants to congratulate the winner, and all the rest of the sailors. We are looking forward to the World Championship, and wishes the participants that are going back home, a safe journey, and welcome back to Arendal! « Bjørnar Erikstad kommenterer landskampen til sjøs!